I love pumpkin pie. It's just that simple. Thankfully, Kevin doesn't like it so I get to eat the whole thing all myself! That would not be conducive for my weight loss plan, but it's pumpkin pie people! I was looking around the internet at some other pumpkin recipes I'd like to try as the Fall season approaches with the cooler temperature. 1. 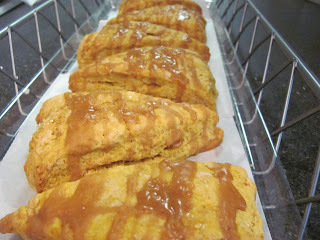 Pumpkin Scones with Ginger Molasses Glaze - The scones were delicious and soft and the glaze was very spicy and yummy! 2. The Pumpkin Dessert - I like it because you utilize a boxed yellow cake mix. Easy! 3. 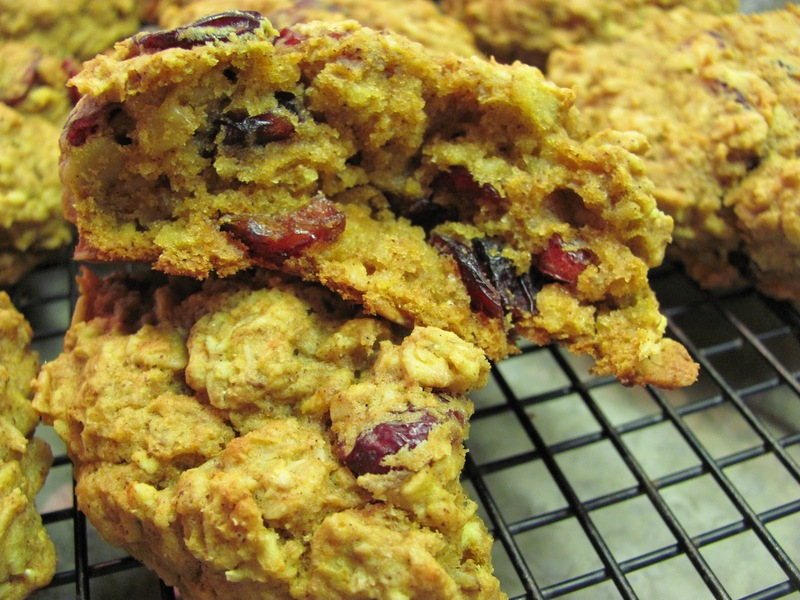 Pumpkin Oatmeal Breakfast Cookies - I made these for OAMC and froze them. They great first thing in the morning with a cup of hot tea. 4. 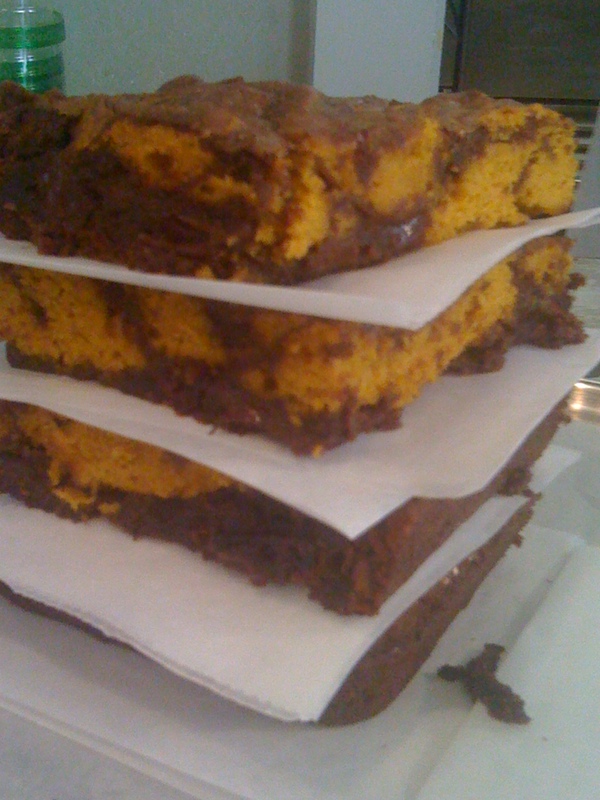 Pumpkin Pie Fudge - Who doesn't love fudge? It totally reminds me of the Georgia Mountains and the cool air. 5. 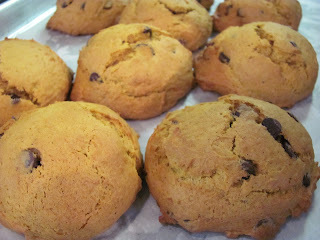 Pumpkin Chocolate Chip Cookies - Totally yummy and they didn't disappoint! 6. Pumpkin Biscotti - I think I'll add cranberries and pecan to this one. 7. Pumpkin Cranberry Bread - I have a wonderful recipe I already use for Pumpkin bread, but it's nice to try a different one. 8. Pumpkin Swirled Brownies - these are completely divine! 9. Pumpkin White Chocolate Blondies - Brownies and Blondies are so moist, I can't wait to see how it tastes with the addition of pumpkin. 10. Pumpkin Chocolate Chip Muffins - These are family favorite, I just had to include them in the mix. Don't these sounds amazing! I can't wait to get started! I'll be posting these over the next few weeks, so keep your eyes peeled! What do you do with pumpkin? 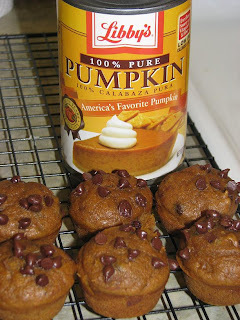 Have you ever pureed your own pumpkins? 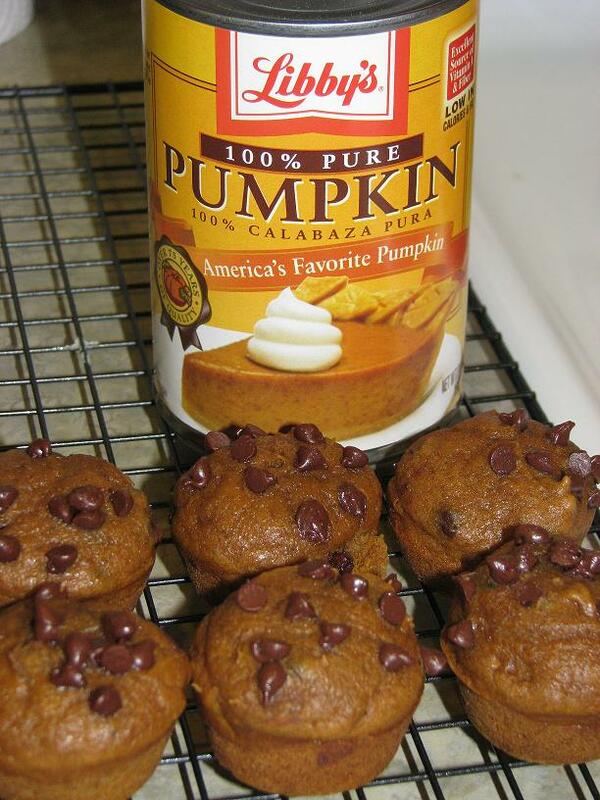 I LOVE pumpkin foods! Thanks for posting these; I'll be watching for recipes. Thanks for this post! 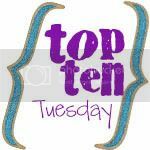 I am bookmarking to make sure I try them all out too! Yum, I'll try some of these recipes. I like to make pumpkin bread pudding (just add some pumpkin to a basic bread pudding recipe). If I started now, and baked every day through Thanksgiving, I still couldn't make all the pumpkin recipes I want to! Last year I pureed a bunch of my own pumpkin and it was super easy! Yummmmm. I have yet to try pumpkin recipes just yet. You've inspired me! Oh wow these look so good, I've tried several of them, but always looking for more, can't wait to try the scones, and fudge. 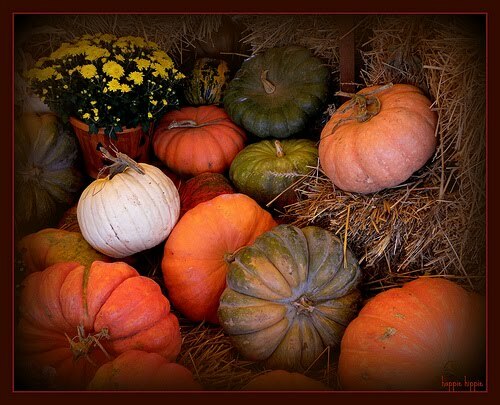 Thanks for linking up to the Pumpkin round-up.